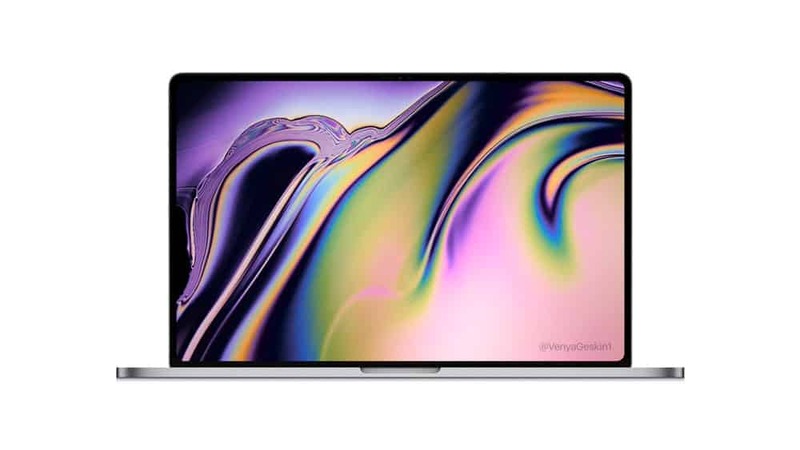 The MacBook Pro 2019 is a few months away and some of rumors suggest this update will be a big one with some major changes to rectify the issues with the previous generation. We’re reaching fever pitch for the next iteration of the incredibly divisive MacBook Pro from Apple. And in this blog article I’m going to roundup everything we know so far about the 2019 MacBook Pro. The 2016 MacBook Pro introduced an aesthetic slim design from Apple. In order to achieve the 1.4cm thickness, Apple adopted the first iteration of their new keyboard from the previous year’s 12’ Macbook. With minimal travel distance the first generation butterfly switch keyboard afforded the MacBook Pro it’s slim design, but at a cost. Large numbers of users almost immediately reported issues of dust and debris getting clogged under the keys, resulting in keys either not working or double inputting. In 2018, with the third generation of Apple’s butterfly switch keyboard, Apple added a silicone membrane to solve the issue. But to this date, there are still users reporting the same issues. This has led to lawsuits being filed and Apple introducing a keyboard repair program in June 2018. It wasn’t until March 2019 that Apple publicly addressed the issue with an apology. So what can we expect? Well Apple must surely be redesigning the keyboard. It is imperative that they counteract the issue. Many will believe that Apple will stick to their guns and place form over function in their pursuit of a slim and aesthetic laptop. But I believe that, especially with the public apology, Apple will have taken stock of the situation and moved to rectify it. As a result of using a super slim chassis, Apple have made some major sacrifices. In order to have one of the thinnest laptops in the world, Apple has compromised the MacBook Pro’s cooling capabilities. The 2018 MacBook Pro came with Intel’s 8th gen core i9 processor chips. But initially the chassis was just too slim to cool the chips when they were running at maximum capacity, resulting in thermal throttling. The i9 could not maintain the base clock speed because the thermal cooling was inadequate. Apple moved to solve this relatively quickly, citing an issue in the firmware impacting the thermal management, with a patch update. The results were the MacBook Pro was 70% faster than the the 2017 version. However the i9 chip is still unable to achieve the maximum clock speed it could potentially hit. The nature of the chassis design prevents this. So will Apple concede their fault and go for a thicker chassis in 2019? Potentially yes. The Apple iPhone X and XS is 0.2mm thicker than the Apple iPhone 8. Apple have shown that they are not averse to adding a few millimetres to newer iterations of their products. The patch update was a software solution to the thermal issues and if Apple want to keep up with its direct Windows rival, the XPS 15, from Dell (which is has a thicker chassis), Apple will need a hardware solution. Not getting as much publicity as the latter two, but just as problematic, is the display cable issue. The 2016 and 2017 MacBook Pros short cables that connect the screen to the chassis. These are incredibly thin and therefore delicate. Over time as users will open and close their screens, going back and forth will create cracks, especially if the screen is fully extended backwards. This results in backlighting issues referred to as stage lighting effects on the screen. Sometimes the screen completely fails. Apple moved to rectify the issue by increasing the length of the cable. Because of the redesigned thinner chassis, Apple are using thin cables. There are a few things to expect, and a few things to hope to see. Updated processors and internals are a given. But what about some of the more exciting rumors? The ever reliable Apple analyst Ming-Chi Kuo believes Apple will release the MacBook Pro with a 16.5 to 16 inch display. The report unfortunately had few details, including any mention of the type of panel and if it would be OLED. At CES 2019 strong rumors of the updates from Windows brands like Dell pointed to this year including OLED screens. Whether Apple will join them is still unknown, but it would be a huge disadvantage if Apple did not adopt OLED tech while their rivals did. A 16’ MacBook Pro would mean a larger laptop, a larger laptop would give more room for thermal cooling. If Apple adopts Intel’s 9th Gen 8-core processor chips, the current chassis will surely not be sufficient. A thicker MacBook Pro should allow for the new Intel chips to achieve their maximum potential. Apple have Face ID on their latest iPhones, the XS and XS Max and on their latest iPad Pros. The likelihood that Apple incorporates Face ID into the MacBook Pro is one the strongest possibilities on the list of expectations in this blog article. The MacBook Pro should ship with Intel’s Sunny Cove architecture. This is a 10nm chip which is the reason the MacBook Pro was designed so slim. However the 10nm never materialised and so we got the thermal issues. The Intel i9-9980HK is an 8-core processor, 16 threads, clocking up to 5GHz, which would replace the current 6-core i9-8950HK. Apple will be using the Intel Gen 11 for the Integrated GPU. These are capable of reaching 1 Teraflop GPU performance. At the moment the best guess for a the dedicated GPU would be the current Vega 20, but clocked higher. The MacBook Pro 15 will most likely max out at 32Gb of RAM as this was only recently made available. However Ming-Chi Kuo has reported that the 13’ 2019 MacBook Pro model will also have 32Gb of RAM available to spec. Apple may be forced into a redesign of the current Macbook Pro design much earlier in what would probably have been a 4 year life cycle. This current design is not achieving its potential, hence the need for change. How much Apple redesign the 2019 MacBook Pro will affect how well Apple resolves the issues its users have been struggling with.